Providing you the best range of f.c.u. brass ball valve, brass ball valve with & without strainer, 2/3 way pneumatic operated valve, industrial water solenoid valve and autovent ( automatic air purging valve) with effective & timely delivery. Brass ball valve specially designed for F.C.U. RC make ball valves provides the quality needed for commercial,industrial,institutional and process piping requirments. LEAD RIGHT SHUT-OFF - Sealing design assures complete and positive shut off.seal maintain tight closure despite tempurature presure or vacuum. 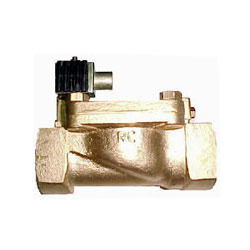 SAVING ON INSTALLATION COST - By installation brass ball valve with strainer you save the installation cost by installing brass ball valve with built in strainer,instead of installing ball valve & strainer separately. With our profound vision to offer our customers efficient solutions for regulating, directing or controlling the flow of liquid, we have brought forward Pneumatic Valve. 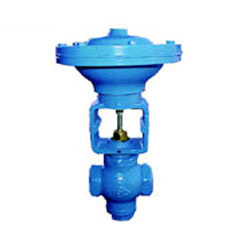 These valves work by opening, closing or partially obstructing various passageways and comprise PTFE cones with spring loaded self-adjusting features. Customers can source these products at market leading prices. Size Screwed - 200 through 50mm. We are engaged in manufacturing and supplying Solenoid Valves. These products are used in the application of directing or controlling liquid flow, in industrial or household applications. Customers can source these products in two standard sizes at reasonable rates. 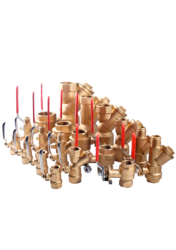 These valves are rendered an optimal finish for enhancing their corrosion resistance. RC-AV Series are compact,economical models of air purge valves.These valves are been smaller in size,can conveniently be fixed on lines with small space left around. It is very helpful for venting air from water in service lines,hydronic heating and solar systems,storage tanks etc. Valves opens, as air accumulates in the top of the body,water level and float go down pulling valve away from seat to allow air to be discharged. As water level rises the float recloses the valve. Design of RC-AV series vent is very simple.it employs to actuate a free floating valve. All working parts are cossosion resistence brass/PP. Unit is designed for working pressure upto 150 P.S.I.G. "RC" make ll variant Autovent comes with shut off valve for easy mounting & removal,when the autovent is unscrewed from the shut off valve. The valve will close automatically. 2/3 Way Motorized Valve For F.C.U.